RC Charley is a 3 year old rescue cat. Although he loves people, he does not enjoy playing with my White German Shepherd because she is really hyper, and RC Charley is more of a mellow guy. 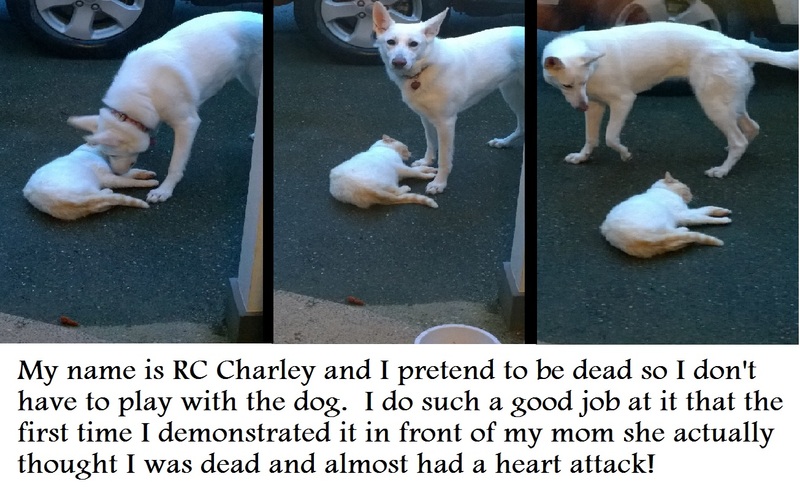 Whenever the dog goes outside to go potty, RC Charley drops wherever he is at and plays dead. Posted October 29th, 2016 .